How to trade and earn on the NCDEX? While one can trade in commodities on both the NCDEX and the MCX, it is the NCDEX that has a leadership position in agri-commodities trading. In India, there are two principal commodity exchanges, viz. the Multi Commodity Exchange (MCX) and the National Commodity and Derivatives Exchange (NCDEX). While the MCX is the clear leader in non-agricultural commodities like bullion, crude oil, and industrial metals, NCDEX leads in agricultural commodities trading. Of course, with the NSE and the BSE also foraying into commodities trading, the competition will surely increase. But, for now, NCDEX and MCX remain leaders in this segment. How exactly does the NCDEX trading work and how can traders make money through it? Let us find out. How does trading on the NCDEX work? While one can trade in commodities on both the NCDEX and the MCX, it is the NCDEX that has a leadership position in agri-commodities trading. 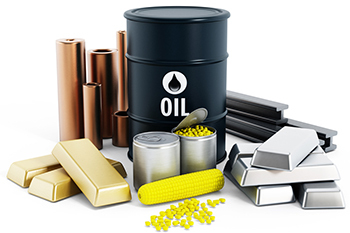 Trading in commodity futures on the NCDEX differs from the equity futures market in two ways. In the commodities markets, the trader who is long on a commodity can treat that as a trading position and sell out, or he can choose to take physical delivery of equivalent commodity from the warehouse. Similarly, a short trader can either square off the position by buying back the commodity future, or he can choose to give delivery of the commodity at the warehouse. Equity derivatives, on the other hand, are compulsorily cash-settled and you cannot demand shares from the exchange. Secondly, hedging can be done in both markets but hedging in the equity markets is meaningful only against an investment portfolio. Commodity futures, however, can be used to hedge the price risk for farmers growing cotton or a textile company purchasing cotton etc. Like in the case of equity futures, you have to pay margins when you take positions in commodity futures. However, the margins collected in commodities trading are much lower than in the case of equities because of the lower volatility that commodity prices are subject to compared to the latter. Effective 2016, the commodity markets have also come under the regulatory purview of the capital markets regulator Securities and Exchange Board of India (SEBI) with the Forward Markets Commission (FMC) being absorbed into the former. · Trigger price is the price specified by the user at which the order gets triggered. · Stop losses get traded when they satisfy two conditions, i.e. the stop-loss order has to be triggered by the LTP and Trigger Price conditions, and secondly, there should be a counter-party. · A typical order on the NCDEX can either be a day order, or a good till date (GTD) order, or a good till days (GTDys) order, or it could also be an Immediate or Cancel (IOC) order. Only GTD, GTC, and GTDys orders can be carried forward to the next day. How does the settlement system work on the NCDEX? · All cash-settled contracts (non-delivery) are settled the day after expiry. The deliverable contracts involving the actual delivery of the commodity are settled within seven days of expiry. · The trader needs to intimate the exchange in advance if they intend to take physical delivery of the commodity. In that case, additional physical margins will apply. · One need to understand demat and remat in the context of commodities. A buyer intending to take physical delivery submits a Remat Request to the DP, which is passed on to the registrar and to the warehouse. On a specified day, the buyer has to go to the warehouse and clear the stock. · The seller who gives physical delivery will have to take the actual goods to an accredited and designated warehouse. These commodities will have to be assayed by the authorized assayer who certifies the quality and value of the goods. The warehouse then intimates the registrar and the concerned depository and the demat credits will be given. · While the transfer of actual physical goods happens, all trades are settled by the exchanges and the depositories in demat form only. The above is the standard model that is used for all commodities that are traded on the NCDEX and pretty much sums up how trading works on this commodities exchange.